After introducing you to the cow in our last blog post – ‘Meet the Cow; Beef Cuts and Uses’, which you can view here – we thought it only fair to take a trip down to the market to introduce you to the pig as well. Pork is a wonderful alternative to beef when you’re cooking a beautiful Sunday roast. However, most cuts of pork need to cook slowly to ensure that it’s perfectly tender. Let’s take Hock for example. Wouldn’t you love for it to just pull apart? Well, that would take around 8 hours in the slow cooker. WHAT?! I hear you say! But bear with, because it’s the succulence and burst of flavour you get from a forkfull of ham hock is so worth it. 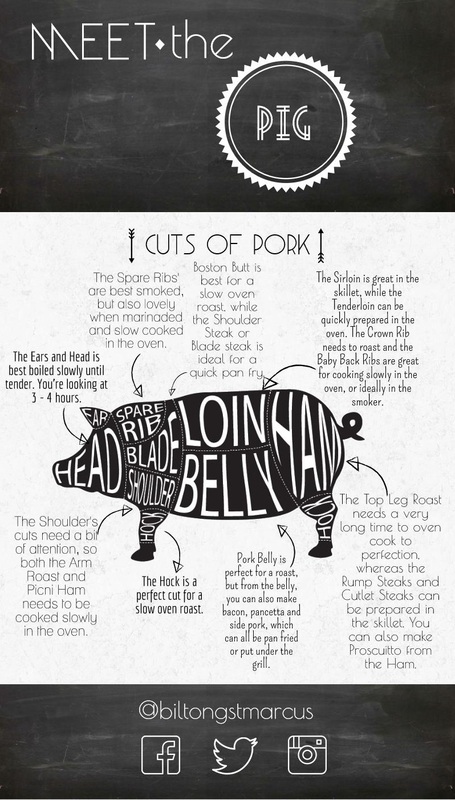 Of course, that’s only an example of what you could do with pork – so let’s Meet the Pig: Pork Cuts & Uses.